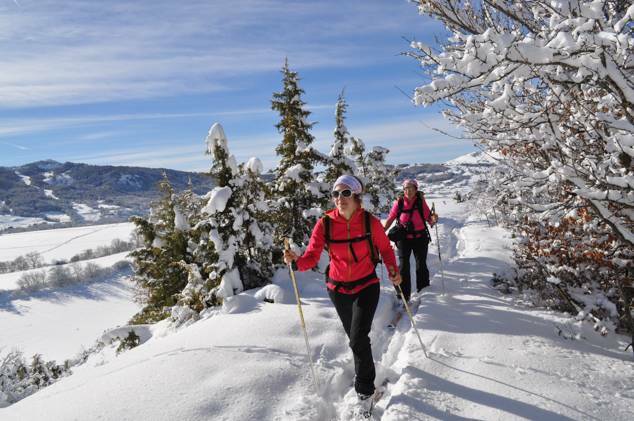 Nordic skiing has taken off all over the Alps, and in areas with large valleys and gentler mountain topography like the Southern French Alps, it is becoming more and more popular. 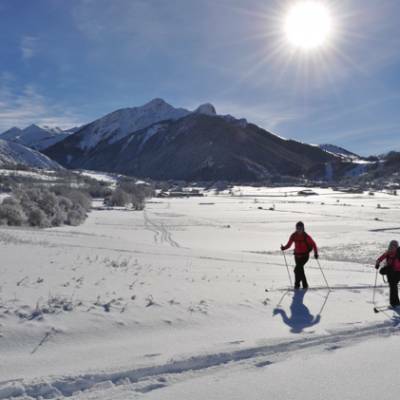 In addition to being able to practice a traditionally Scandinavian sport in the Alps, you have the distinct advantage of much longer days and much better climate! 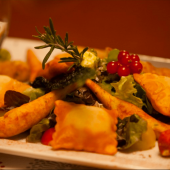 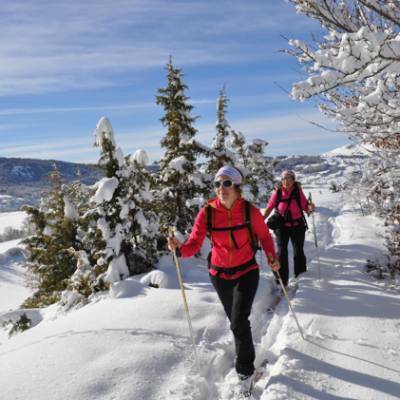 All in all, if you are looking for new sensations in the well preserved Alpine valleys or if you grow tired of crowded ski resorts, Nordic skiing could be the perfect solution for you! 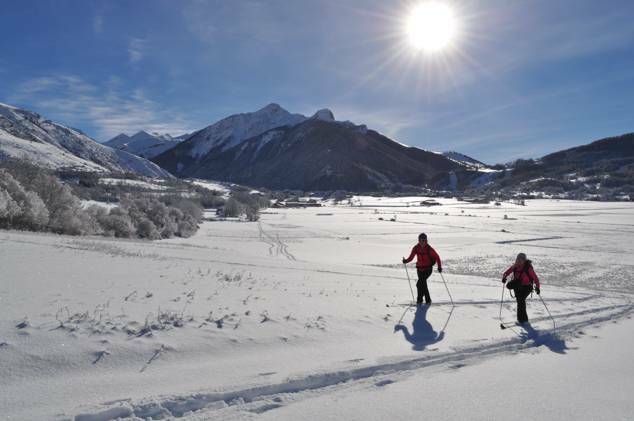 When is the best time of year to come Nordic skiing in the Alps? 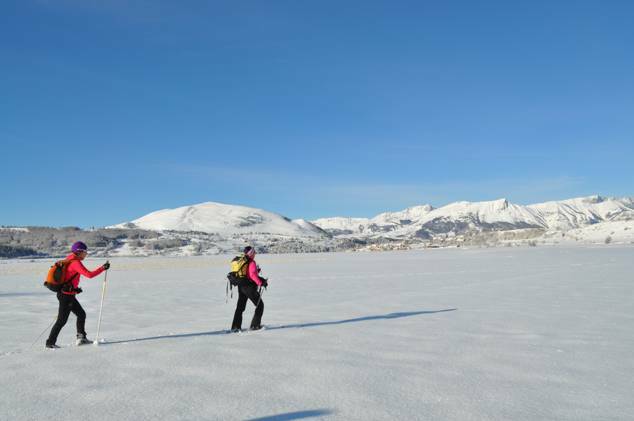 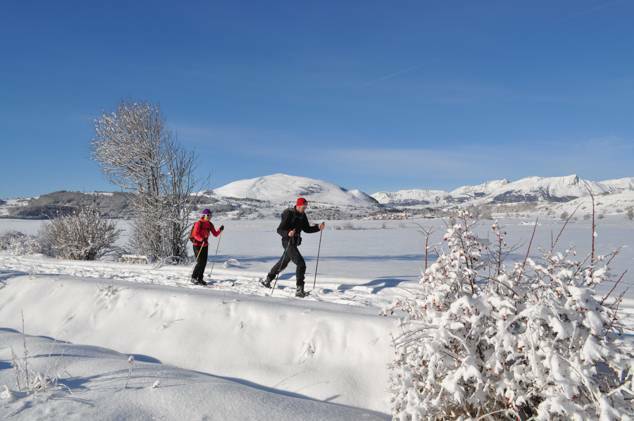 As you will do Nordic skiing in lower parts of the valleys, we recommend you come in the months of January, February or March when the snow cover is good at lower altitudes. 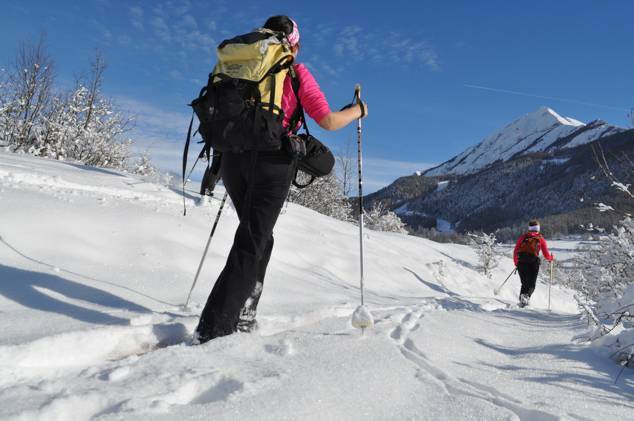 Nordic skiing is not designed for big ascents and descents - that comes under the category of ski touring. 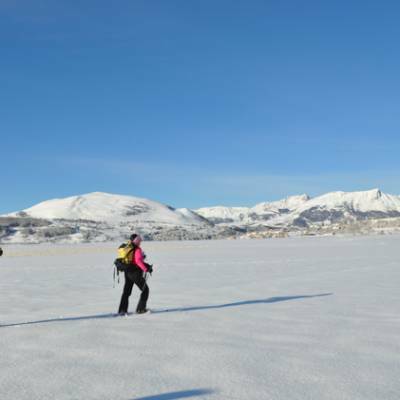 As such, most routes are relatively flat or undulating, making this accessible to average skiers with a reasonable level of fitness. 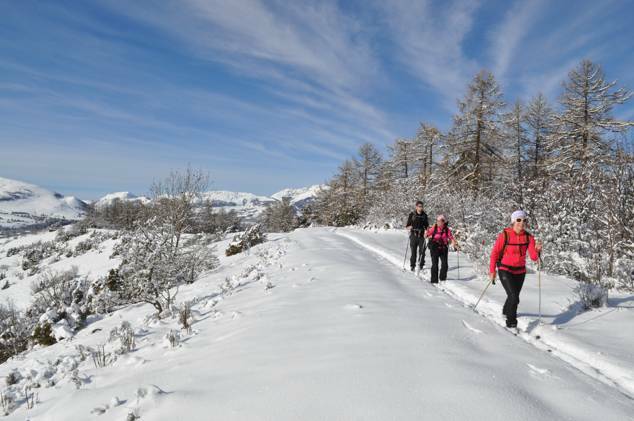 As Nordic skiing becomes more and more popular, tours and events for all levels are becoming available in the Southern French Alps. 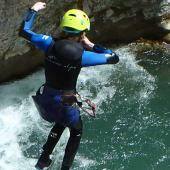 The most famous tour (guided or self guided) is called "La Traversée du Champsaur". 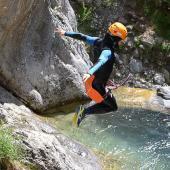 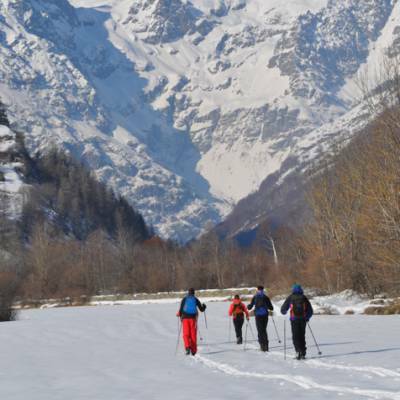 This 3 nights / 4 days tour is about 40 kms long (about 25 miles) and will take you through some of the most beautiful parts of the Champsaur Valley, alternating between small paths, long descents, deep forest and the frozen banks of the Drac river. 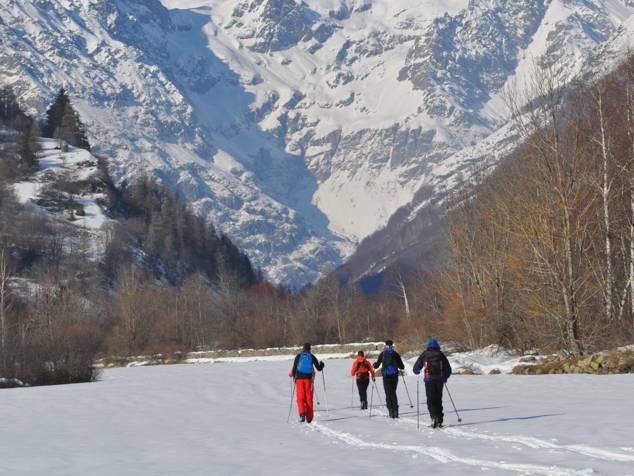 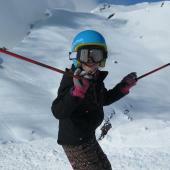 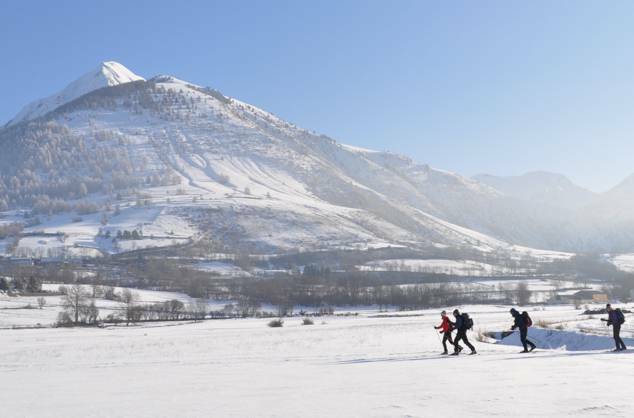 Away from groomed pistes, this is a great ski adventure accessible to relative ski novices. 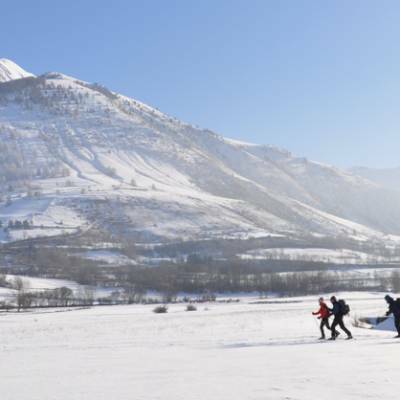 Age 8 or 9 is a good age to start Nordic skiing, when you have enough balance and coordination to be able to grasp the basic techniques. 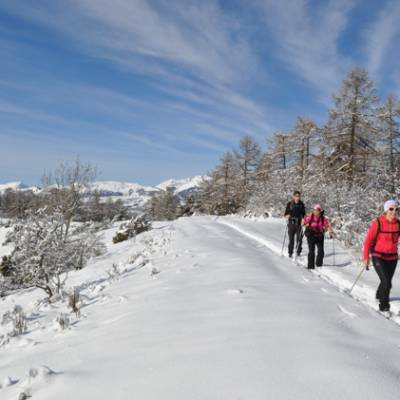 Anyone can try Nordic skiing. 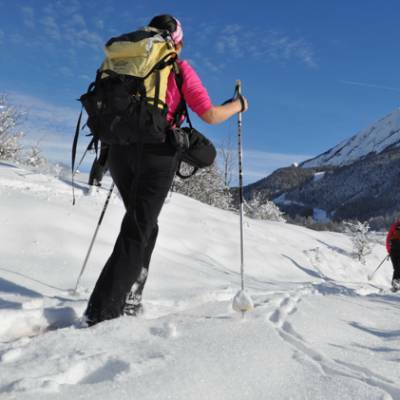 It is quicker to pick up than downhill skiing for total beginners as there is only little speed factor to control and you can easily go at your own pace.